When should you start applying to U.S. college as an international student? These tips can save your time, money, and energy. They also can boost your chance of getting admitted. Take a look! 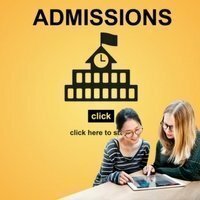 Hope to enter a top school but don’t want to take SAT or ACT? Your wish may come true! More than 35% of the accredited 4-year U.S. colleges don’t require SAT (or ACT) scores for admissions. The Department of Homeland Security (DHS) will propose to revise the definition of specialty occupation to increase focus on obtaining the best and the brightest foreign nationals via the H-1B program. USAcollegex.com is THE intellectual property of Access Education LLC of Washington, U.S.A. © 2018 All Rights Reserved.